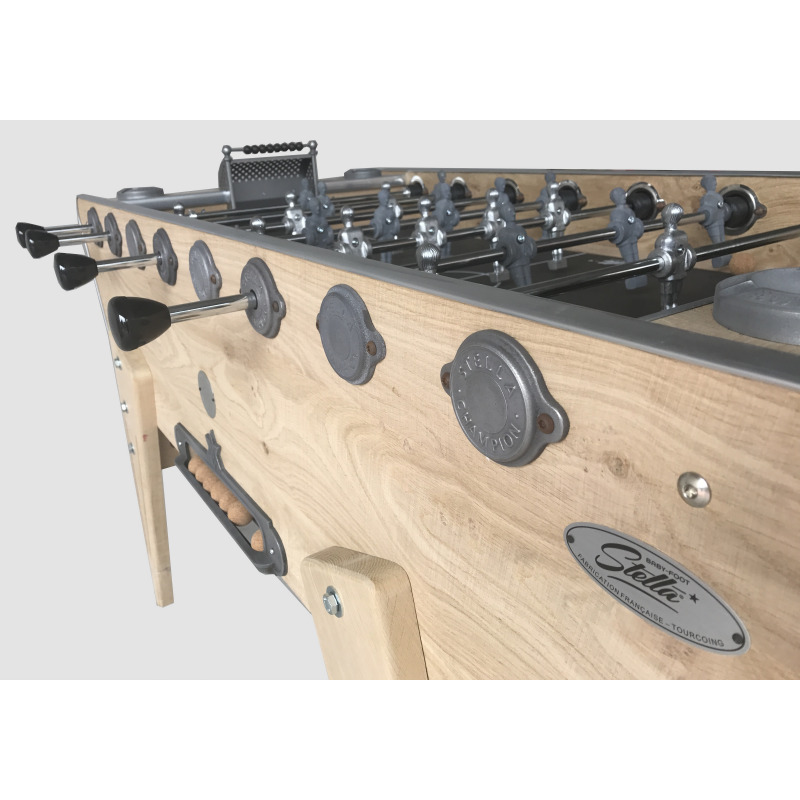 The champion is the mythical foosball table of Stella since 1958, installed in many bars and restaurants. 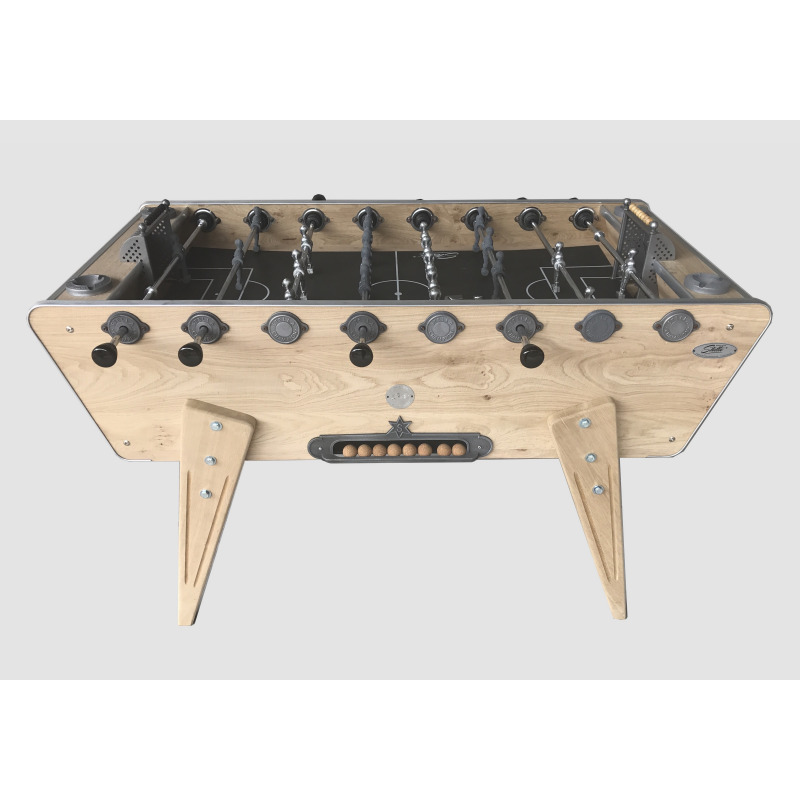 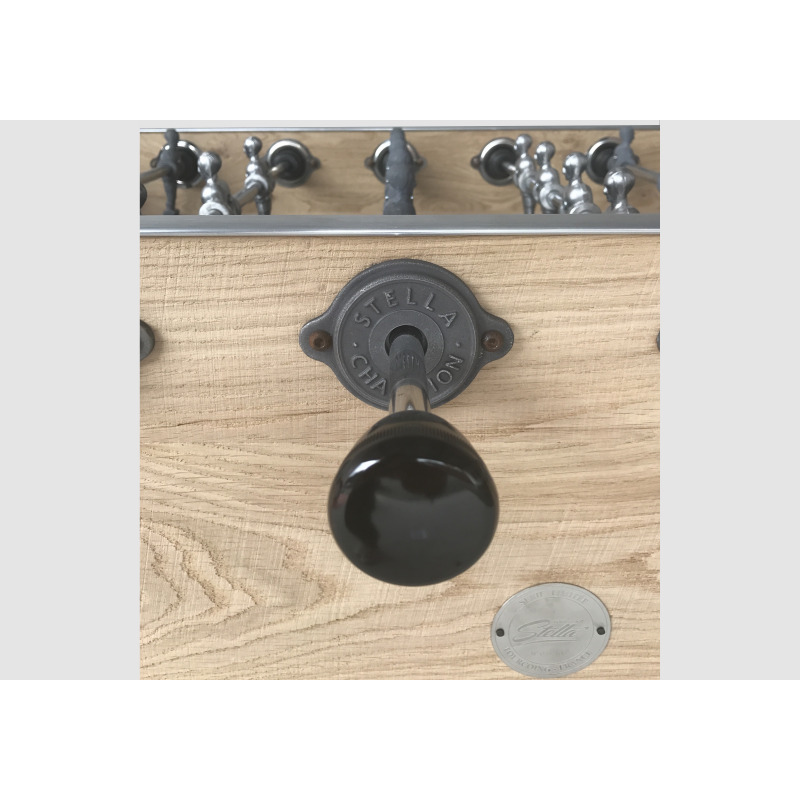 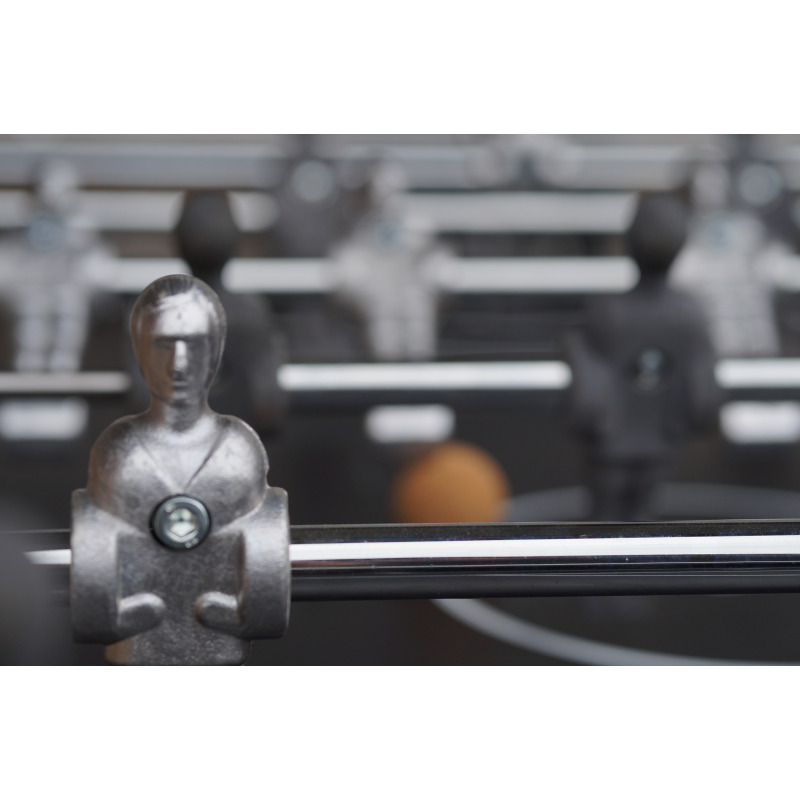 It is manufactured in the purest tradition Stella, handmade, with robust materials and fully factory assembled to offer a sustainable foosball table and offering a strong resistance. 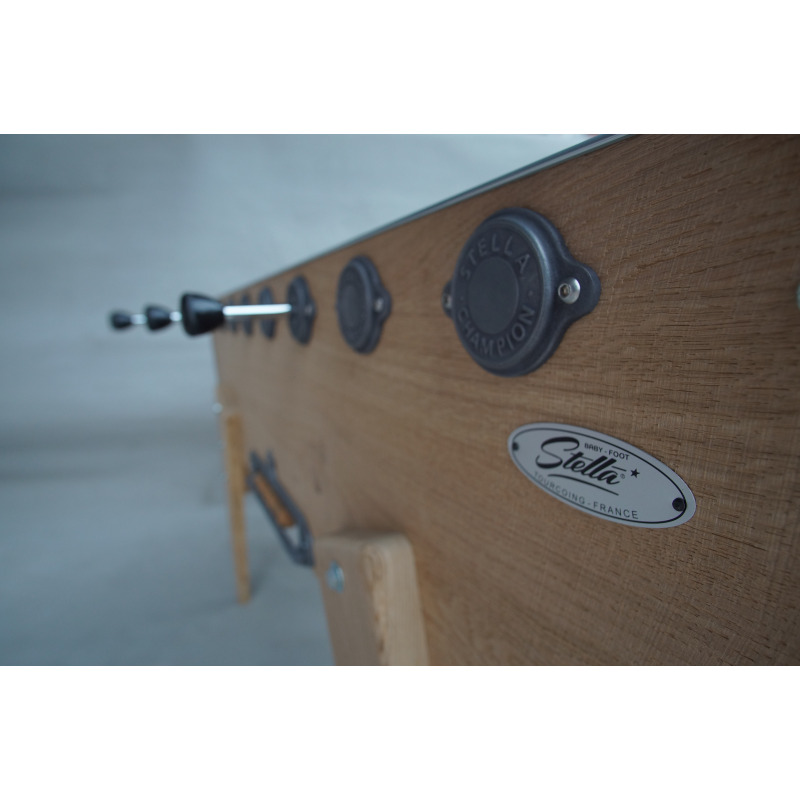 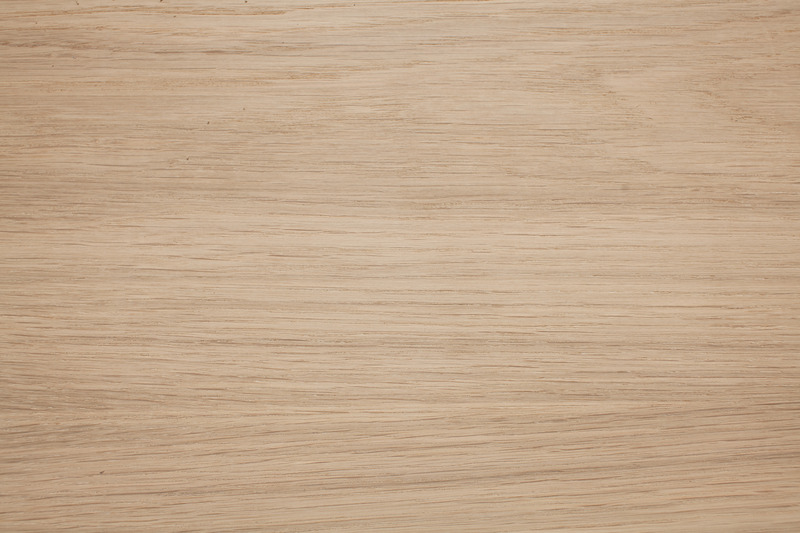 Today, you can find it with this amazing oak dressing, bakelite handles and aluminium players. 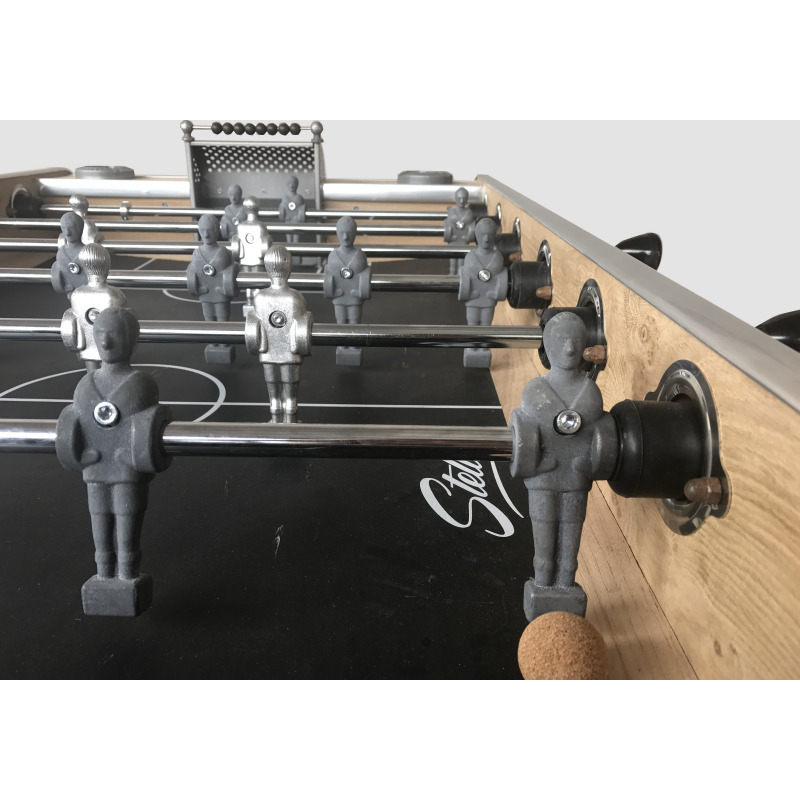 The quality of play is outstanding with reinforced rubber dampers and a more flexible game background that these little brothers with a smart construction on joist. 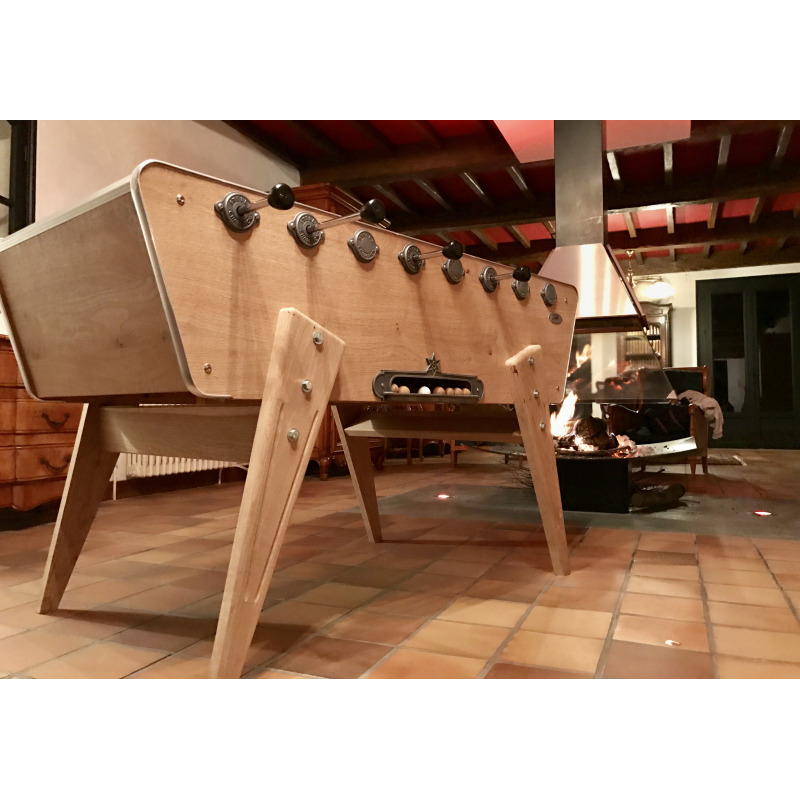 With its stylish design, it will assume the dual role of playing leading and original decorative object which will sublimate your home. 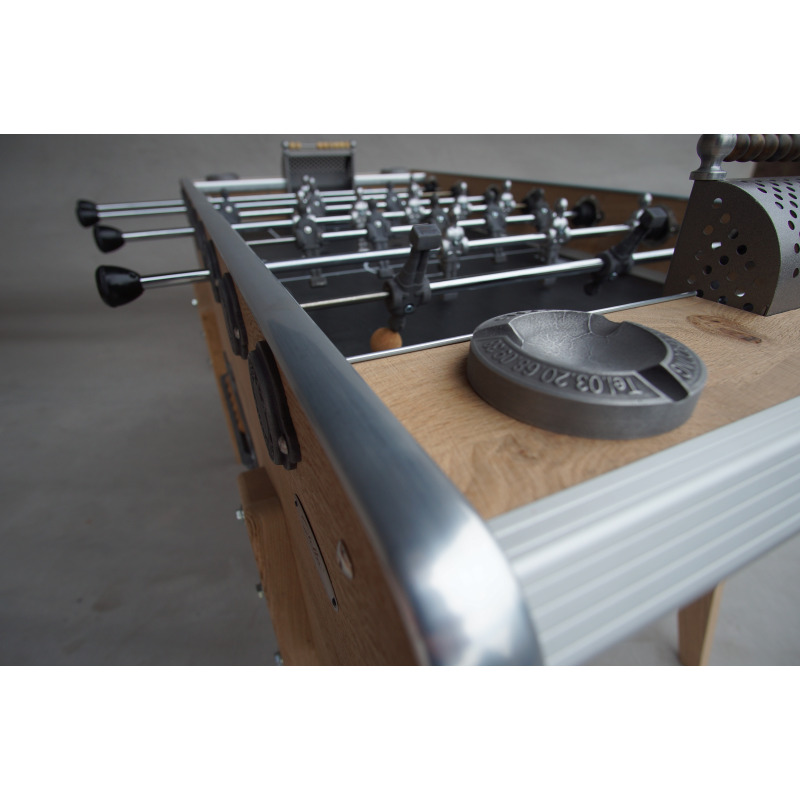 Stella Champion, let it get into the most legendary Pub’s foosball table of the 60s in your home !